Being near the port In the Middle Ages La Ribera was the city's hub of commerce and the seafaring trade. 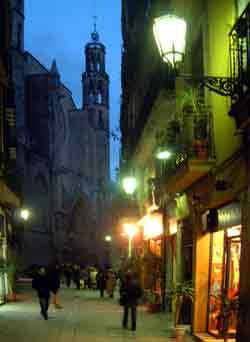 The Ciutat Vella is the old heart of the city of Barcelona, which includes the following areas. Buses numbers 14, 17, 19, 36, 39, 40, 45, 51, 57, 59, 64, 157. 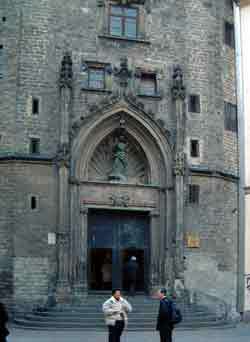 Llotja de Mar building is the former stock exchange. 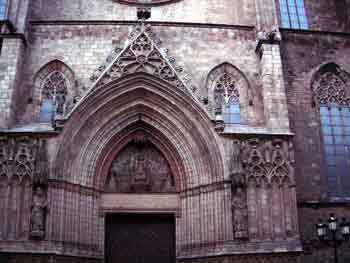 The church of Santa Maria del Mar, of the finest Catalan Gothic architecture. Palau del Mar houses the Museu d'Historia de Catalunya, enjoy it's innovative and interactive journey through the history of Catalonia. The spacing of the interior supporting column is the widest, over 9 metres, in any gothic building. The acoustics of the building make it very popular for concerts.